Aliens, zombies, romance and a wormhole all wrapped up in a mystery! Haunted by dreams of an alien world and obsessed with unlocking the mystery, Dr. Cass Baros does the improbable. She creates a wormhole. While her team preps to traverse it, she becomes more suspicious of her fiancé and co-project leader, Dr. Julian Saunders. Is he really so jealous and secretive? Her boss, Dr. Janson, also has an agenda, which includes adding an U.S. Army contingent to her scientific team. Captain Lewis seems intelligent, but an army grunt is still a grunt, right? As if this isn’t enough to make a normal woman paranoid—and Cass is anything but normal—her dreams have altered to include an alien man who thinks she’s their predestined queen and savior. Jeamon, but still engaged to Julian and rightfully uncertain, though she feels changes occurring within her. Unable to return home and facing numerous dangers—external and internal—the team deals with this fascinating new world, including an altering Cass. How far is the team willing to go to discover answers? What is Cass willing to do if she is to be a savior? What will Jeamon choose when faced with split loyalties? Forced to choose between their old lives and their new ones, Cass and Jeamon are plunged into an adventure beyond their control. One in which the rest of the team must struggle to survive along with them as they unravel the millennia old secrets of the brajj’s world. 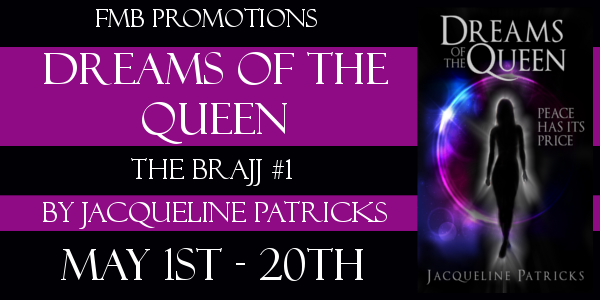 Leave a comment below for a chance to win one of five ebook copies of Dreams of the Queen (The Brajj #1) by Jacqueline Patricks! For more chances to win follow along with the tour here. I started writing fiction when I was 15, and like most aspiring writers, my work was terrible, immature, cliched drivel. But I kept at it, even went to college for my creative writing degree before I understood how useless such degrees tend to be for real world applications. I also got used to the typical reject letters. Eventually, I needed annoying things like food, clothing and rent, so I got a real job and ended up finishing my degree in paramedicine. Since then, I’ve gained 19+ years of experience as a paramedic, and that’s after joining the army which paid for my degree. Of course, becoming a medic and honing the skills takes a lot of energy, so my writing got derailed for many years but never forgotten. Then a wonderful thing happened. I woke up one morning with the fire to write fiction again. Sure, I’d written plenty of medical reports. I’d been published online by writing medical articles and was paid to write for a crafts blog, but I hadn’t felt the particular desire to write fiction in nearly a decade. 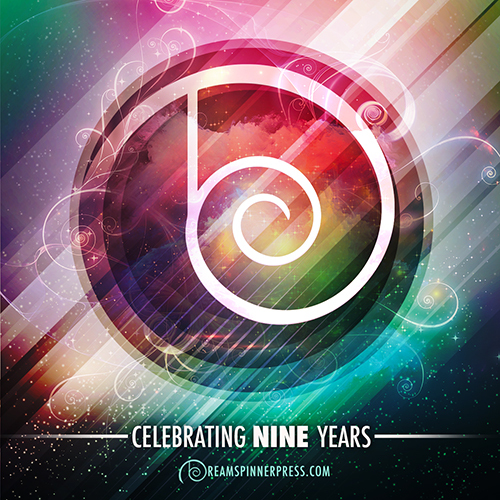 I haven’t stopped writing fiction since Oct 2010, and I don’t plan on stopping. In the last two years, I’ve written over a million words and counting. As of Oct 2012, I’ve got a half a dozen stories in progress and can barely keep up with my muse. Everything from science fiction, fantasy, fiction, psychological thrillers, historical fiction/action, horror, mystery and romance. If you enjoy my writing, then you can expect the unexpected.